Are you looking for the best deal on the new 2019 Toyota Highlander? At Toyota of Braintree in Braintree, MA, we have lease deals that will put you behind the wheel of the Highlander of your dreams for the right price. Look through our Toyota Highlander inventory, pick out a model you love, schedule a test drive at our dealership, and then we'll help craft the financial plan that suits your best needs. Also, our 2019 Toyota incentives are another great way to save money. If you have any questions, feel free to contact us online or give us a call at (781) 848-9300. 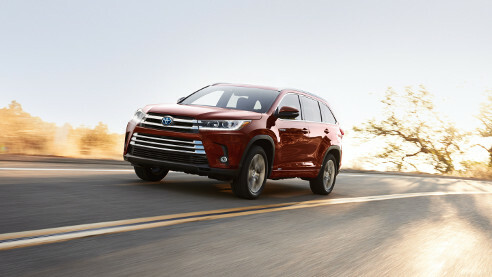 Listed below are the top five reasons why the 2019 Toyota Highlander is the perfect SUV for your daily drive.